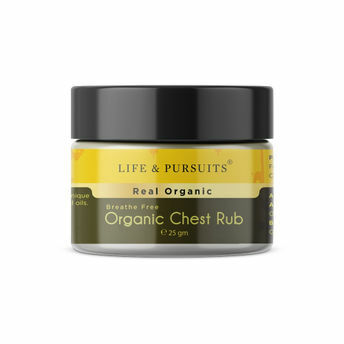 Life & Pursuits' Organic Cold and Cough Balm is a therapeutic blend of extra-virgin, cold-pressed, pure natural oils and medicinal essentials oils. 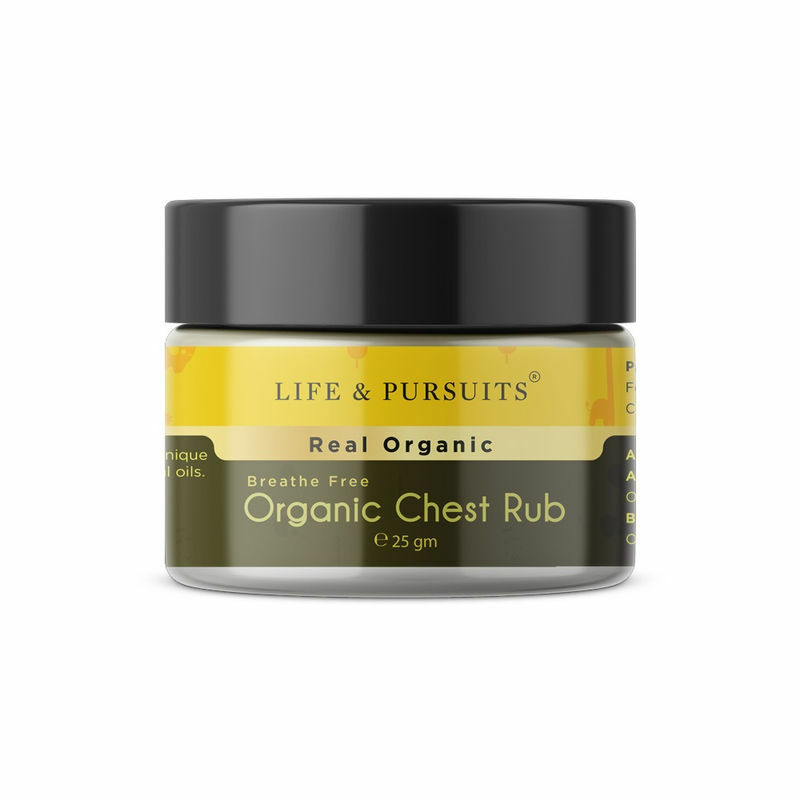 It gives fast relief in nasal and chest congestion. It is safe and effective for children and elders alike. The balm is certified organic by NATRUE (Europe) to be truly natural and have more than 95% certified organic ingredients. Trust Life & Pursuits for your family!